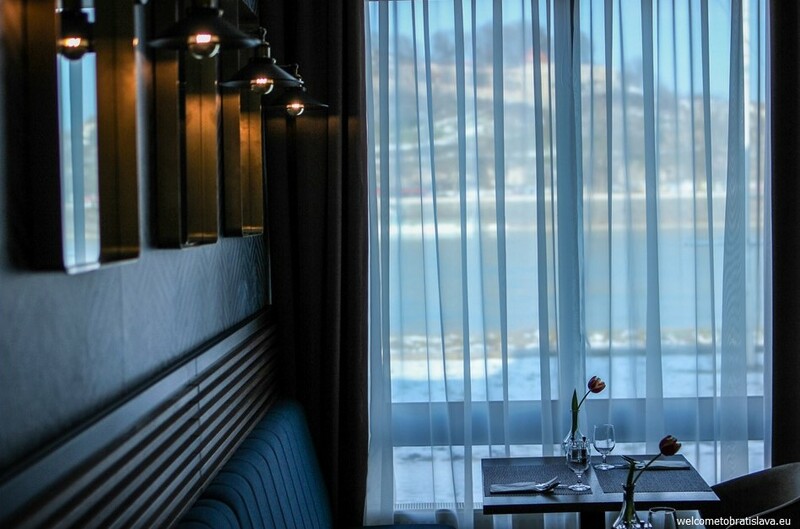 A wonderful view of Bratislava’s main sights and the proximity of the Danube river will make your visit in Auspic restaurant truly enjoyable. 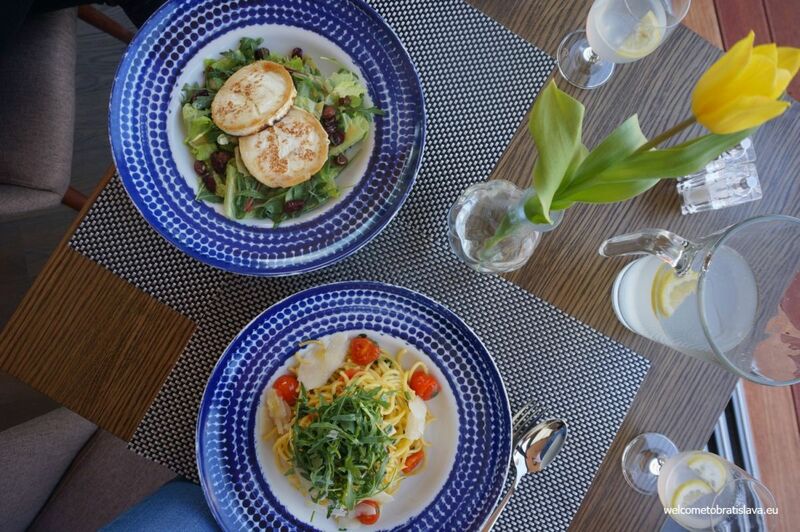 Try the chef’s specials and drink them down with the classic Kofola, fruity spirits or a glass of wine! 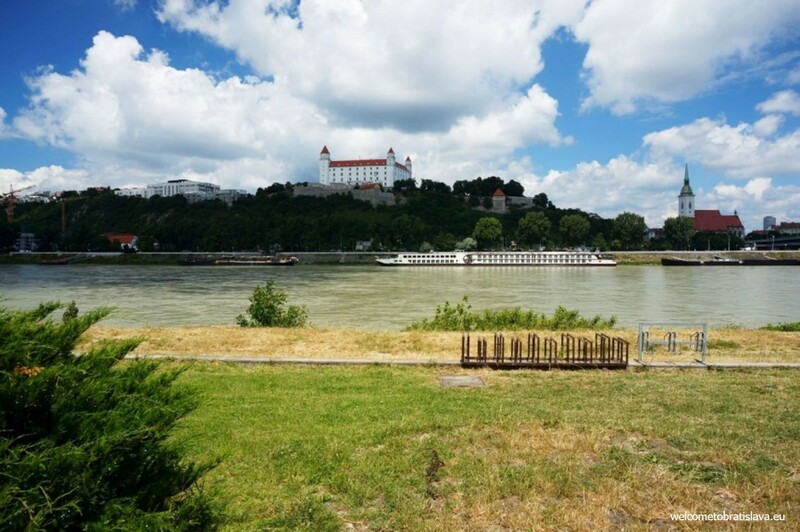 Auspic restaurant is located under the UFO tower, at the Danube river, with a beautiful view o the river, Bratislava castle, St. Martin’s Cathedral as well as the UFO bridge. A walk from the city center takes around 10 minutes (you need to get to the other side of the UFO bridge – to the Petrzalka part – and at the end, turn right along the main road). If you have a car, there is a free parking space for restaurant’s visitors. You can get here easily also from the Aupark shopping mall or Magio beach by foot. There are two indoor rooms in the restaurant and a big terrace outside which is open to public all year long except winter. The whole place went through a massive reconstruction in 2018. Its wooden furniture and dominant rustic elements were replaced by a modern and elegant look. You will be able to watch the happenings outside thanks to large windows which replace the traditional walls. WHAT TO HAVE IN AUSPIC? Auspic was known for its Slovak-Hungarian cuisine with traditional meals that taste like from your mother. This was until the place changed the management and designed a more international menu. 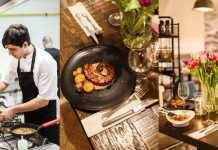 There are now fewer things on the menu and these match the newly reconstructed premises – they are more modern and less Slovak. If this is a good thing, we still have to try. When it comes to appetizers, you’ll be able to choose items like foie gras, bryndza (special Slovak cheese) mousse with radish, roast beef and various soups – traditional bean soup, a chicken broth or the specialty of the day (always ask for it). Meat lovers will be pleased with the options for sure. Chicken, pork, veal and beef options are available to pick from. 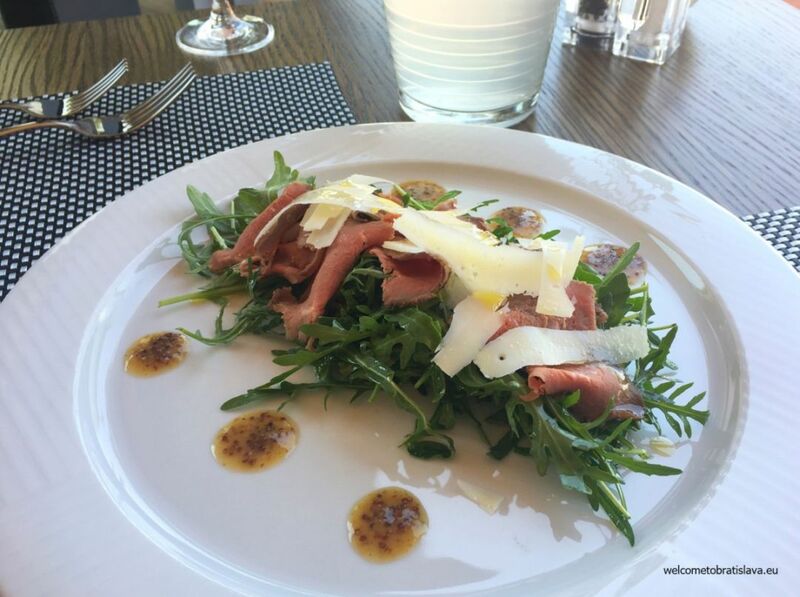 Aupic has good alternatives for vegetarians as well – pasta, different cheeses and salads are not missing on the menu. If you feel like having fish, you can go for a pikeperch, sheatfish or trout. 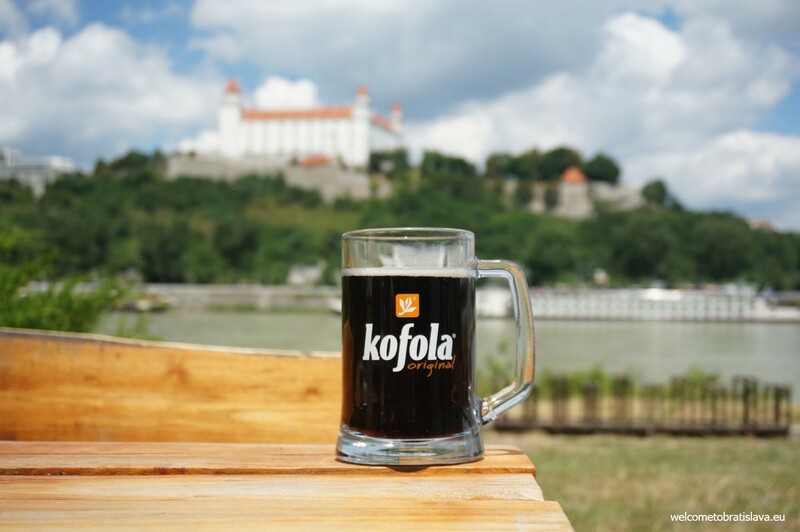 Among all sorts of drinks you can also have the Slovak version of coke – Kofola, with a gingerish taste. That’s what we usually take here, mainly in the warm summer days. 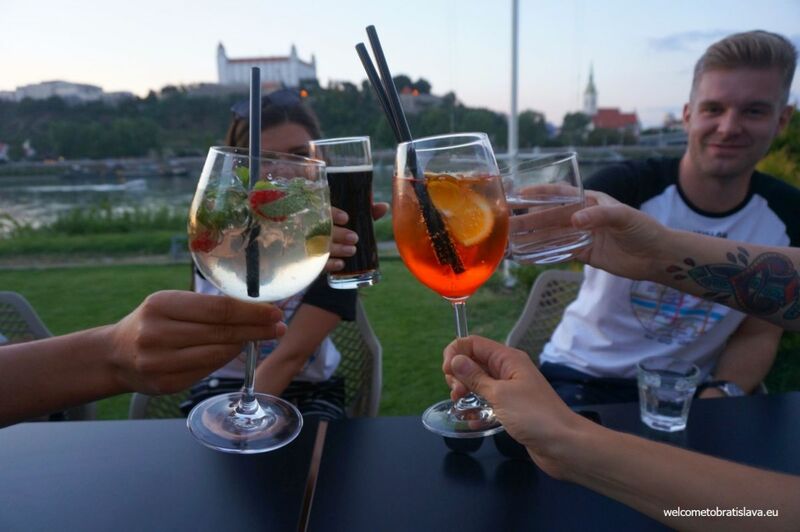 When the weather allows, enjoy the terrace with the beautiful view – best with a cocktail! During the week, besides the regular menu, they have lunch specials/menu of the day (11:00 – 14:00) which will vary every day and you can always check what’s on through their webpage. Ah and the last thing, payments by cards are available as well. All you need to do now is to check this place out yourself – enjoy!